Our Game: Was f*cking awful. Begovic, Zouma, Ake, JT, Fabregas and Chalobah retained the chance to start in the cup run after the last round, whilst Ruben and Michy dropped onto bench. The game started at breakneck speed, and after a bumptious start from the home side, we looked as if we were going to settle down into our rhythm. This did not happen. It was shoddy, lacklustre and frustrating. Any final ball into the box was as flaccid as an octogenarian with a dodgy ticker. Wolves’ fluffy little tails were up, we continued our Burnley trend of giving the ball away. I’ve had more enjoyable afternoons being dragged around the abyss that is IKEA in Croydon. Everything went down the middle. Everything went up in the air, despite our inability to win a header against the home defence. In the first 45 minutes we applied about as much effective pressure on Wolves as me trying to push a Sherman tank along when my little finger. If the first half was like being dragged against my will around IKEA, then the beginning of the second half was like being dragged against my will around IKEA with period pains. Finally, after 55 minutes we appeared to work out that we were not winning anything in the air and that we should try a short corner. Finally, we appeared to realise that going down the middle had not worked once and started playing it out wide. Wolves had got really deep, but we were still too hapless to do much about it until the 65th minute when Willian sent it across the box and found a completely unmarked Pesto. (F*ck off autospell) With what was basically our first header of the game he scored. This was like the moment in IKEA when you finally get through that wretched sodding marketplace and realise that there is actually an exit. And hotdogs. Shoring up was required. Dave came on, as did Kante. I thought my ears deceived me on the 78th minute when the guy behind me shouted “get into it Cesc.” Today, Fabregas was about as magical as Harry Potter with his wand snapped in half. This guy would have had a better chance of getting a quarter pounder to moo again by giving it the kiss of life at Molyneux. 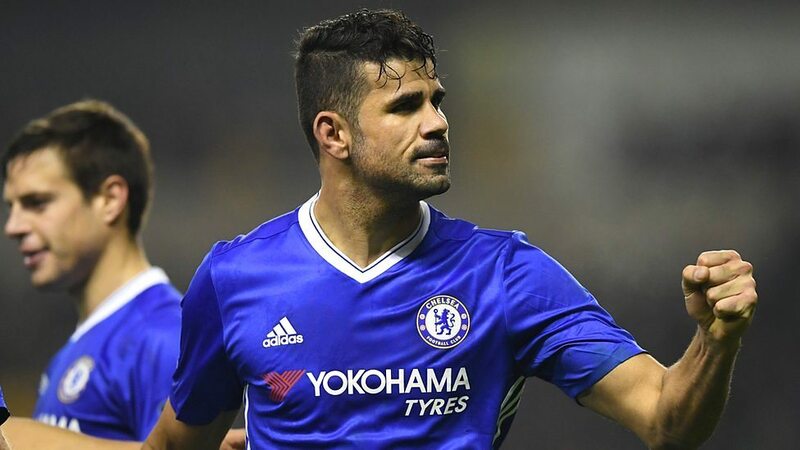 Never fear, Costa was there to save the day, pouncing on a loose ball in the box in the 89th minute to seal the result. (Our Costa, not theirs, who pulled a face like someone had scored a money shot in his eye every time a decision went against him) This was like when you finally emerge back out of IKEA after four days in captivity. Thank. Christ. So: This wasn't winning ugly. That doesn't cover it. This was winning Iain Dowie. We rode our luck today. A lot. Wolves will feel hard done by not least on account of ex-Chelsea man George Saville smacking the woodwork. It’s hard to pick out individuals as having been atrocious today. The “fringe” youngsters were not at all at fault. Ake was exceptional at times, Chalobah deserves to be dry-humped one by one by the whole of the away support for a brilliant tackle in the box with the result still in the balance that could have ended up with a penalty being awarded against us if he had fluffed his lines. I can’t recall Zouma putting a foot wrong. The composition of the back three changed a few times throughout the evening, and JT was the constant holding it together, (and getting about as arsey as we were about how slow everything was) but on the whole as a team we didn’t gel together at all well, and we very nearly came unstuck. To read Alex's full post click here.